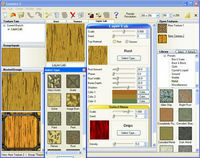 This is a typical designer's task: create an image of a product box, book, manual, DVD, CD, Vista box, card (etc.) for a web site, electronic presentation or a paper publication. In the past, this was done by photographers. It's a long and expensive process. Photographic images aren't perfect, have resolution limitations and you can hardly edit them. Today, designers normally use 3D-rendering software. Synthetic images are perfectly clean. You can use various visual effects and transparent backgrounds to smoothly embed your graphics into existing designs. 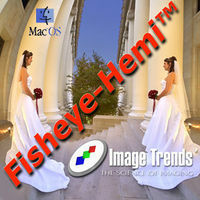 Additionally, you don't have to set up another photo session if you need to change something in your images. There's still a downside, though. You need to own an expensive 3-rendering package and you need to be familiar with it. It takes time to create even a simple model. Your best option is to use a specialized 3-rendering application that does not require advanced knowledge in 3D design and allows you to create a professional graphic in minutes. Unfortunately, most of the available programs of this kind are rather limited. They render a simple texturized parallelepiped. They use the 3D-rendering features of your video card that are normally intended for games and not for professional designs. Cover Commander from Insofta uses software rendering for maximum quality and does not require any specific 3D acceleration hardware. 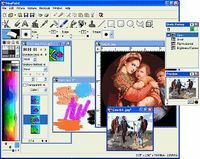 The program includes a wizard that allows you to create an image in a few quick steps. The process of creating an image is highly customizable yet contains a set of presets for each step for fast and effortless customization. You start with a basic scene template: a box model, a box with a CD, book, manual, DVD-box, a 3D-screenshot, etc. The other wizard steps allow you to select images that you wish to put onto the 3D objects, set up light sources, shadows and reflections. 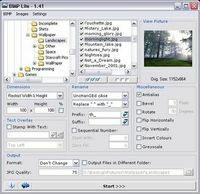 The resulting image can be exported into a range of graphic formats, including PNG with alpha-channel.